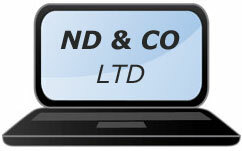 Welcome to Neville, Dean & Co Ltd, Certified Public Accountants based in Poole, Dorset. We provide an affordable and professional accountancy, bookkeeping and end of year tax returns service to businesses throughout the South of England. We have been established for over 10 years, and being home office based we can provide a friendly, relaxed and personal service at highly competitive rates yet still remaining efficient, ethical and fully compliant. We provide services to all kinds of businesses and organisations in the Poole and Dorset area requiring bookkeeping, VAT, personal tax planning, business consultancy, management reporting, “health checks”, payroll, CIS and tax returns. We have fifteen years experience working with Self Employed, Partnerships, Limited Companies, Limited Liability Partnerships, Community Interest Companies and Charities. Browse our website to find out more about how we can help your business.